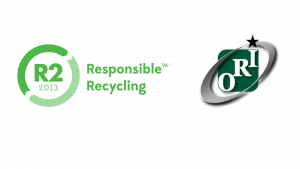 Greenbox’s industry certifications prove our credentials and capability. At Greenbox, we protect your data, your reputation and our planet – in a controlled and consistent way. Multiple quality certifications attest to this, in safety, quality, and the environment. These provide assurance that we adhere to rigorous processes you can rely on. And it’s not just a tick in the box for our head office – each of our four warehouses is certified as well. Use of gold standard Blancco software for data destruction and the choice of 3-step and 7-step data wiping including Australian Standard – ISM 2016 Controls. All warehouses built with tilt slab concrete construction, 24 hour internal and external CCTV surveillance, and double gating. Staff who are cleared and accredited. Greenbox is also a corporate sponsor of the Australian Information Security Association, which champions the development of a robust information security sector. Greenbox is an Australian IT asset management company providing services across the technology lifecycle, from purchase to disposal.